» The Best Tablets That Musicians Will Love! The Best Tablets That Musicians Will Love! Being a musician isn’t easy. It takes hard work, practice, dedication, then more hard work and practice. It can be a grueling experience just trying to learn the basics, let alone mastering them. Lucky for the musicians of today, technology has made learning and practicing, along with mastering, easier than ever before. With tablets, armed with the right apps, musicians can get the help they may need at a much more efficient pace than in the past. Below we list our picks for the best tablets for musicians, along with an app or two for each to really get people started. The Fire 7 Tablet is a great tablet choice for musicians, especially those on a budget. 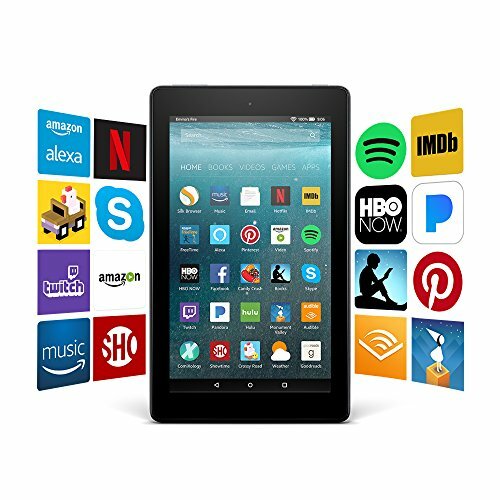 With a wallet-friendly price and multiple features, any beginner or experienced musician might find this tablet more than capable to handle whatever they may need it for. 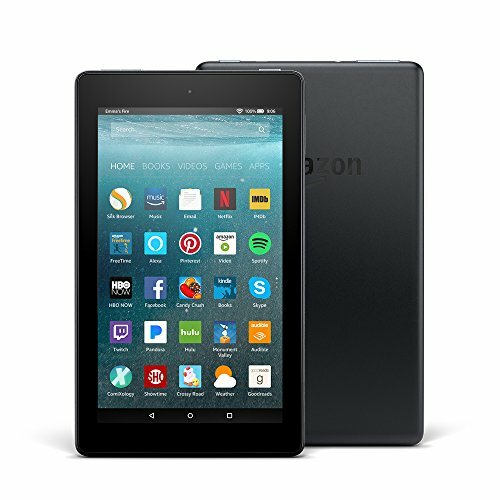 The Fire 7 tablet by Amazon is packed with versatile features that really add to the value of this already inexpensive tablet. With an LCD touchscreen display and a body that is less than 8 by 5 inches, this tablet is extremely portable, a factor important for many musicians. This tablet comes with a Quad-core 1.3 GHz CPU processor which is paired with a Mali-450mp4 GPU for rendering some of the largest files, something musicians are known for. After all, perfection tends to be a standard they chase often. The battery installed in the Fire 7 only helps its portability, as it can last for an impressive 8 hours, more than enough time for most musicians on the go. It also weighs in at only 11.4 ounces. If not familiar, weight can mean all the difference to musicians, even more so if they travel often. Perhaps the perfect app for this tablet is the well-known GarageBand. This app lets you control sound, recordings, editing, and can even create unique music on its own. It’s essentially, albeit less advanced, a recording studio all in your tablet. Also, it’s under 5 dollars. Now that’s a deal most might not want to ignore. For the musicians who love Pianos and Electric Keyboards, not to forget those who love synths, Magic Piano may be the perfect app available for such dream-seekers. With the app Magic Piano, any Piano lover can learn songs, chords, scales, and much more. Whether in it for the learning experience or the ability to choose from an abundant collection of sounds, this app essentially turns a tablet into a mini-keyboard. 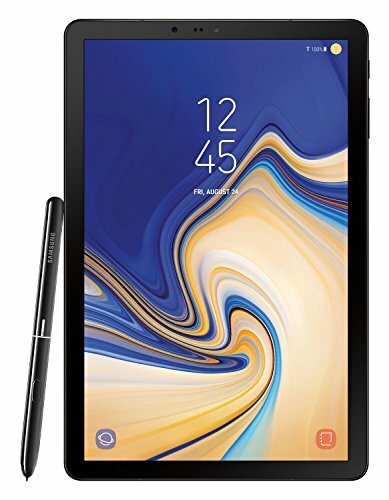 For the musicians who aren’t so much on a budget or, at least, the ones willing to spend the extra money for a more advanced tablet, look no further than the Samsung Galaxy Tab S4. It may be pricey but it’s packed with a fast operating system and enough features to keep the most tenacious musicians busy for quite a while. With a 10.5 inch screen and dimensions measuring 9.8 by 6.5 inches, the Galaxy Tab S4 isn’t the most portable tablet on the market, but at just slightly over a pound it really doesn’t weigh as much as some may think, considering all it has to offer. The Galaxy Tab S4 is equipped to store a lot of files and that’s usually pretty important to musicians, considering the quantity of music and similar projects they work on. With 4GB of Ram and storage options ranging from 64GB to 256GB, it could be a long time before they need to restore the memory. Plus, with MicroSD cards, the memory is expandable up to 400GB. That’s a lot of music. The audio quality of a tablet, especially for musicians, might be the most important factor to some and the Tab S4 more than delivers. This tablet comes with 4 speakers, two on the top and two on the bottom, and provides surround sound thanks to the technology of Dolby Atmos. With this tablet, you won’t miss a single beat or lyric, an aspect that might just win a lot of musicians over. If one can’t hear their music correctly, then they can’t edit or master correctly, a doomed proposition at best. 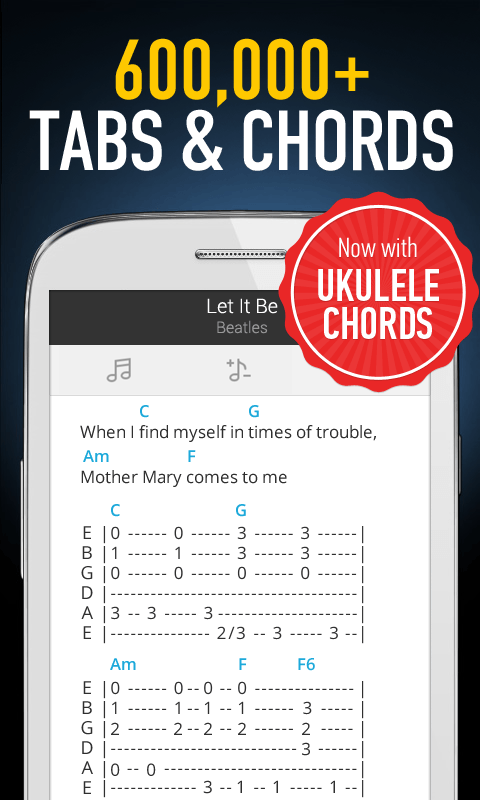 A great app to be used with the Samsung Galaxy Tab S4 is Ultimate Guitar Tabs, even more so for musicians who love reading tabs to learn. 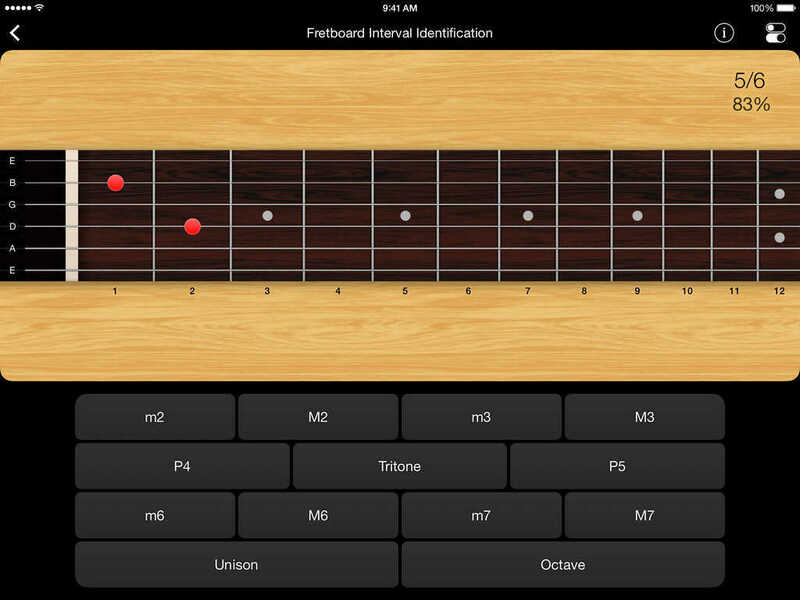 This app may just be the holy grail of tablature apps and not just because it has nearly a million songs in tab form. It is also very user-friendly, easy to navigate, and also comes with a precise guitar tuner and useful metronome. There’s an app for pretty much anything these days and musicians new to the art might find the MyTractice app to be the perfect weapon against the pain of trying to learn. It works by providing the user with a practice journal that allows the tracking of not only practice but progress. Stats can be viewed and even printed and the user can set goals to really up the ante and provide a challenge. Because of the ability to track progress, MyTractice is great for music teachers too. 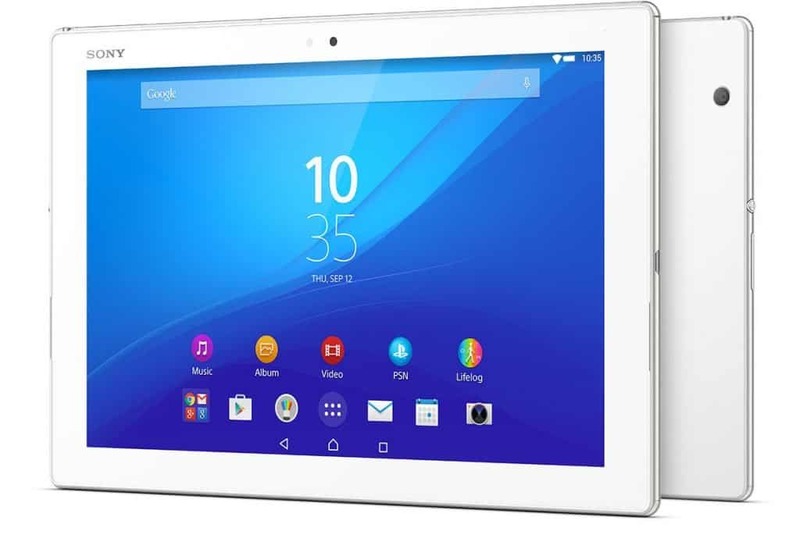 Also for musicians who love advanced features, but can’t quite justify the price of a Samsung tablet, the Sony Xperia Z4 may be the perfect option they’ve been searching for. Built with lightweight portability in mind, the Xperia Z4 weighs in at just 13.8 ounces and has dimensions of 10 by 6.5 inches. Some may think, because of it’s lightweight design, that this tablet doesn’t offer much. They’d be wrong. The Xperia Z4 isn’t just built to be easy to carry to the next gig, although it does a great job of it, but also comes packed with a great operating system, an LCD touchscreen, and has great multi-touch compatibility. In fact, it can support up to 10 fingers, making it one of the best multi-touch tablets on the market. The screen on the Xperia Z4 isn’t just multi-touch but is also coated with oleophobic coating and made of scratch-resistant glass, a feature many musicians will probably find useful; Musicians tend to get entranced in the music and can easily make mistakes like dropping their tablets. Sony doesn’t disappoint when it comes to the operating system of the Xperia Z4, which consists of an Octa-core CPU and Adreno 430 GPU. This is more than enough power to ensure the tablet keeps up with most musicians. Whether they’re shredding and producing tasty licks on the guitar or making ear-pounding electronic music, this tablet should keep up just fine. FL Studio, more commonly known as Fruity Loops, is one of the most advanced recording apps on the market. 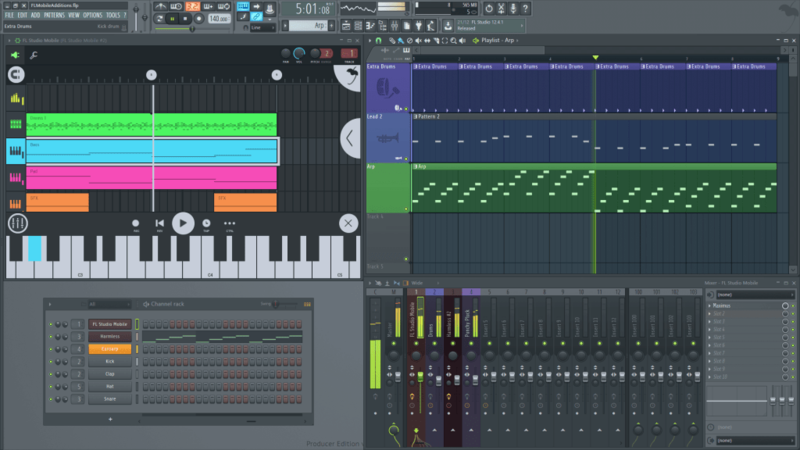 Whether you need to record, master, or produce new music altogether, FL Studio may be the best app available for musicians. It’s basically a whole recording studio at your fingertips, able to produce sound recording and editing rivaled by few, all while being somewhat user-friendly. We’re not saying it’s that easy to learn, but it’s not all that difficult either. Give it some time, practice, and hard work and it will soon be a program capable of more than what even the most optimistic musicians could dream of. Being accurate and on count is more than important to a musician, it is pretty much everything. Perfection, not to be surprised, tends to be the biggest monkey on the backs of musicians. They want their vision executed superbly, not just for themselves but for their audience, and with the Tempo app, being on count has never been easier. Because of its 35 time signatures and 6 rhythm patterns, Tempo remains one of the best and most accurate metronomes to date. A tablet list wouldn’t be complete without at least one Apple product. Apple fans are everywhere, abundant in masses throughout the world, and musicians aren’t immune to the pull of their unique and high-performance products. The Apple Ipad Pro, for example, is a well-built machine that might be the perfect choice for any aspiring musicians. Experienced musicians, too, will find that the Ipad Pro has a lot going for it. While not the most portable tablet on our list, a weight of just over a pound is hardly heavy, considering Apple seems to have their products and their designs down to a tee. And, even though it’s heavier than some, these tablets dimensions are small, measuring just 9.8 by 6.8 inches; it will most likely fit anywhere a musician needs it to. 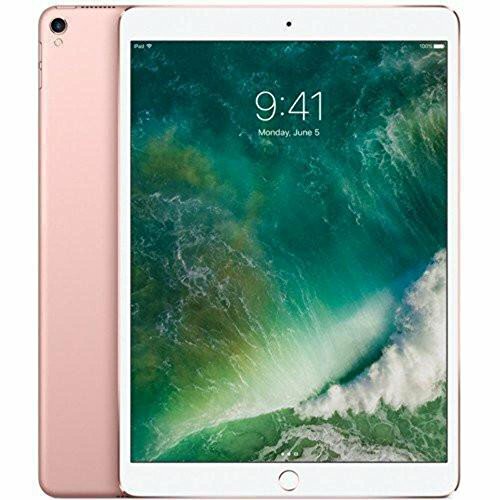 The operating system for the Apple Ipad Pro is a hefty one, ready to tackle both small and large projects, as it is composed of iOS 10.3.2, upgradable up to iOS 12, and the chipset is the Apple A10X Fusion. There is no card slot for upgrading memory but internal memory comes with options ranging from 64 gigabytes to 512 gigabytes and a 4 gigabyte Ram. Apple was generous with this one, deciding to design this tablet with two cameras, one of which contains a flash while the other has facial detection, an advanced feature not found in a lot of similarly priced tablets. Musicians, obviously, need to be able to hear what they’re producing or recording. No problem. The speakers, 4 of them, are loud and placed strategically for optimum sound. Although the price is steep for the Ipad Pro, some may find it justified, thanks to all the features that come with this tablet. The sensors alone, consisting of Fingerprint, accelerometer, compass, barometer, and gyro, really make the price not all that bad. The fingerprint access might be the most attractive feature to musicians, since so many artists are critical of their work, not wanting their music to be heard by just anybody. The Tenuto App is designed to be the go-to destination for any musician wanting to develop their skills in music and music theory. Featuring beginner and advanced exercises alike, this app can really kickstart anyone wanting to transform from an aspiring musician to a dedicated and knowledgeable expert. It will take time. It will take practice. And it will, most of all, take patience. Those who keep at it, though, may just find themselves sick over the fact they didn’t choose this app sooner. This one is dedicated to all the drummers out there or, at least, those that want ultimate control over a drum kit via tablet form. That’s exactly what you get with the DM1 Drum Machine app, and all for under five dollars. Developed by the one and only Fingerlab, a company that knows music, DM1 Drum Machine not only offers 99 electronic drum kits but also 28 vintage kits and 71 electronic kits produced in-house. That’s some serious drumming. Did we mention this all comes with a price tag of under 5 dollars? Yes, we did, but we must repeat that, as it just may be too good a deal to pass up. 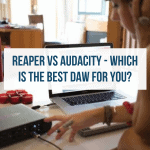 Reaper vs. Audacity – Which is the best DAW for you? 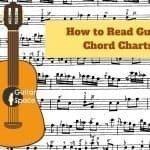 Mandolin vs Guitar: Which Instrument is Better to Play? Alizabeth Swain is a freelance content writer and a passionate musician with nine years of musical training. Alizabeth is on a mission to share her passion for music with others, as she believes that the power of music has the ability to change lives and the world. When she's not writing, you can find her fashion blogging on her YouTube channel or creating new products for her cruelty-free cosmetic company.